Meine Bücherwelt: Good morning dear friends, today I would like to introduce my English books. Good morning dear friends, today I would like to introduce my English books. particularly older women and those living alone. Nothing is invented or glossed over, I have just changed the names. would change into something which would remain forever in her memory. a tingle runs down her spine. Dorothee discovered the perfect place, the Little Flower Retreat and Spa. With excited anticipation, she thought about making all the necessary arrangements for the long journey. Flights, visa and the Retreat reservation were all booked in record time, but she started to be worried about making such a long journey alone. In her story, Dorothee tells you about how she achieved her desire; about the stopover in Dubai, where she imagined being in Scheherazade's Arabian Nights; and about how she experienced and enjoyed being in a foreign culture with the added bonus of losing weight at the same time. She tells her story with clarity and humour and explains the reader all about the Ayurveda treatment, a 4000 year-old healing method, a speciality in Kerala, and about the Kathakali theatre, the Backwaters and the tea plantation area in the mountains; and Dorothee includes little snippets of her very personal experiences and delight. Does my dream develop into a reality? When I first visited Kerala I was fascinated by the appeal of this country. On my first trip in 2012, I was impressed by the scenic beauty and the friendliness of the people. 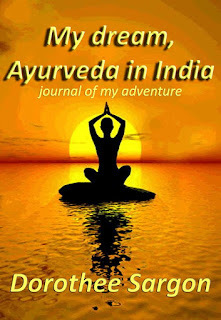 The Panchakarma changed my perspective on life and the way in which I should continue to live. 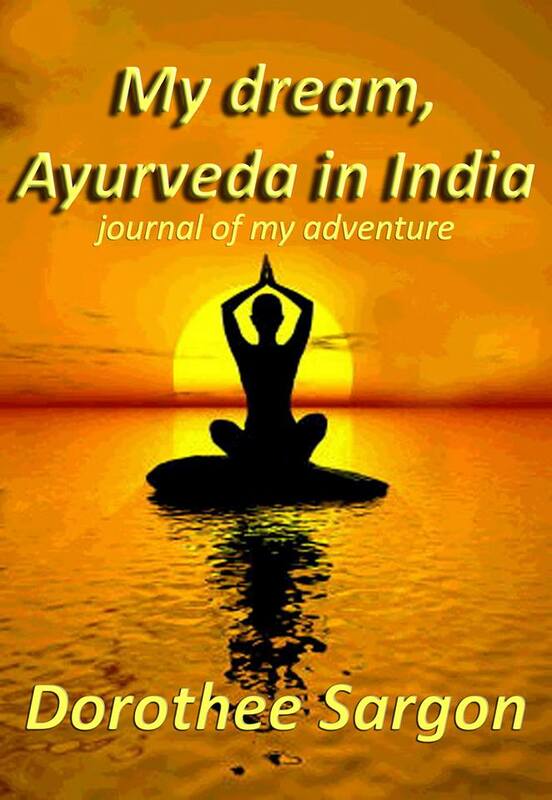 All you readers of my first book “Ayurveda in India ...” will understand what I experienced and the effect it had. Was it just a dream or was it truly real? I needed to reassure myself so, in November 2013, I flew for a second time to Kerala. 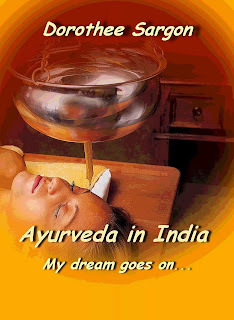 In “My dream goes on ...” I give additional information about Panchakarma treatments, which some readers had requested, and further experiences of my second journey, my personal encounters and photographs. Please immerse yourself in this experience and be a secret fellow traveller. 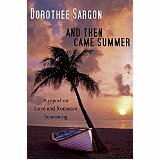 At 68, Dorothee Sargon had a daydream which inspired her to begin writing her special story. For her, life was exciting, full of adventure, often stressful and she was often faced with new challenges. 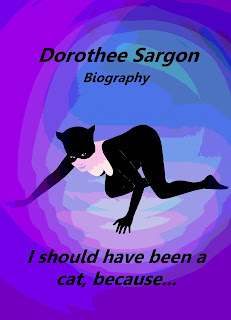 She learned to excel in many professions, including those usually associated with men. 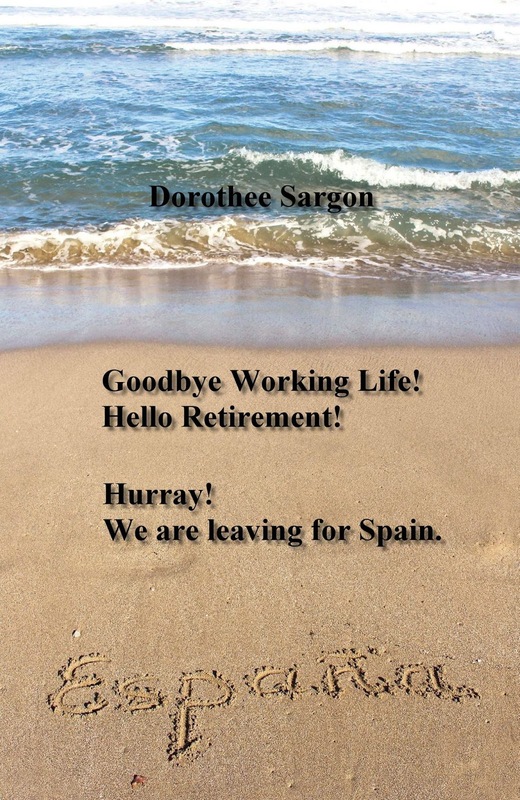 In this intriguing story, both funny and sad, Dorothee recounts experiences from her private and professional life showing how she carved her successful path through life. The word 'surrender' is not in her vocabulary, so she has continued on her way, even if sometimes the road seemed rocky and hopeless. Dorothee has worked as a Management Apprentice, Shorthand Typist and Clerk; Au Pair in America; Administrator, Secretary and Personal Assistant. She has managed and run a bicycle shop and a newsagents; has worked as a self-employed Beautician; and a Specialist Teacher for Sports Massage; and, together with her husband and also alone, she has owned and run a petrol station. And, as well as undertaking many full-time jobs, she has managed to cope with all that life has thrown at her as a little girl during and after the war, a young woman growing up, a wife, a mother and a grandmother. Looking back, she says: "For me, one life is not enough". Hello Retirement! We are leaving for Spain! 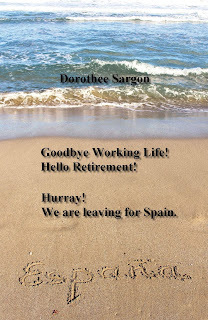 This book tells the true experiences of a retired couple who spend most of their retirement in Spain for the sun and the mild climate. This includes the building of their dream home. Despite all the difficulties, it is the greatest adventure of their lives. After more than a year of construction, they move into their ‘casa’. They make a checklist of repairs and improvements. Yes, German attention to detail does sometimes get in the way. They move into two further building phases and quickly learn to deal with craftsmen. But coping with the local authorities almost brings them to despair. Finally, they are forced to survive an armed robbery. Read this book and learn how and whether they managed it. Similarities with people, names and locations are purely coincidental and unintentional. This book was written to show people in the prime of life, that it is possible to handle and master new tasks even beyond 60. You need only a partner who pulls in the same direction, courage, the will, the stamina, the money and a sense of adventure. At least that is the opinion of Dorothee and Alexander.